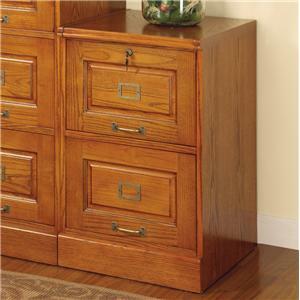 This beautiful file cabinet will add invaluable storage space to your home office. 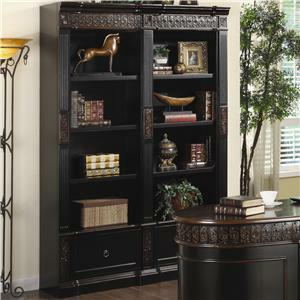 The piece features traditional detailing, including intricately carved floral trim, fluted moldings, and a plinth base. 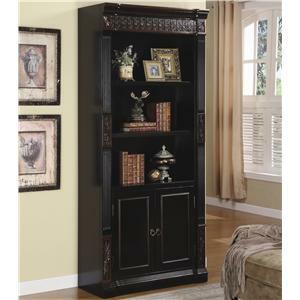 With a rich dark two tone finish, this one-of-a-kind piece will add depth to your room. 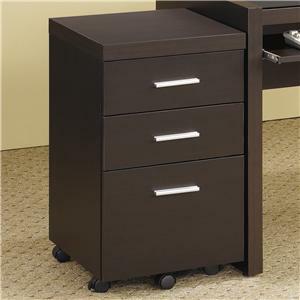 A storage drawer at the top will help you keep clutter and office supplies out of sight, while a spacious lower file drawer will keep important documents in order. 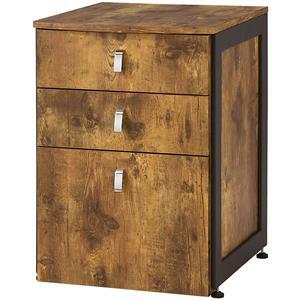 Antiqued metal ring pulls accent the drawer fronts for a touch of authenticity. 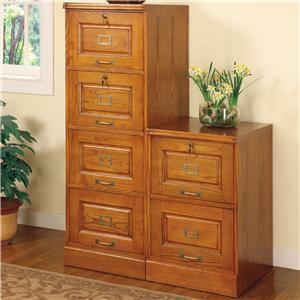 Add this elegant file cabinet to your home office for a functional space with great style. 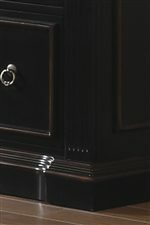 The Nicolas Traditional File Cabinet by Coaster at Value City Furniture in the New Jersey, NJ, Staten Island, Hoboken area. Product availability may vary. Contact us for the most current availability on this product. 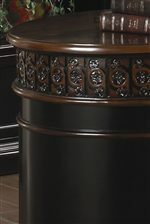 Finish & Paint Options Two tone finish with dark case and warm medium dark accents. Handles & Hardware Antiqued metal ring pulls. Case Detail Plinth bases, fluted trim, floral carved trim. Filing Capabilities File storage in large bookcase and file cabinet. 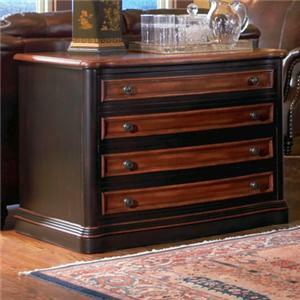 Description: Top Smooth molded edge tops in warm medium dark finish. 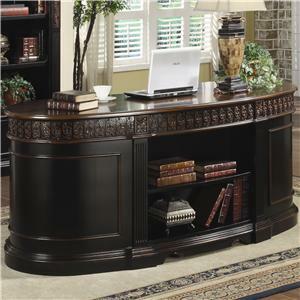 The Nicolas collection will help you create a rich traditional style in your home office. 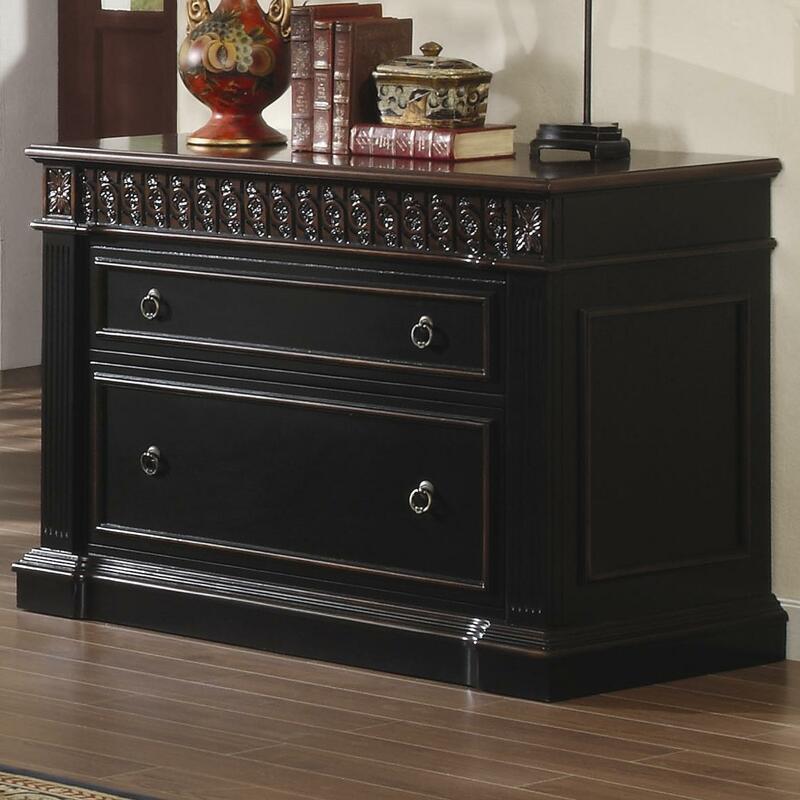 These pieces feature an elegant two tone finish, with dark cases and warm medium dark tops and accents, bringing out the intricate detailing of this group. Floral carved trim, fluted moldings, and classic molding trim create a sophisticated look that you will love. Spacious storage options abound, with a large bookcase and small bookcase unit that can be bunched to create a custom wall unit to fit your space. 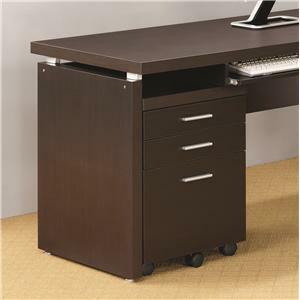 A unique oval executive desk and file cabinet complete this functional group, for an organized and stylish home work space that you will really love. 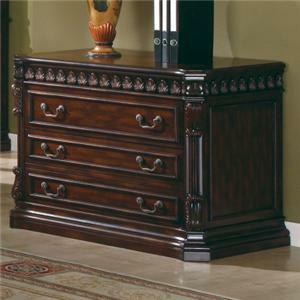 The Nicolas collection is a great option if you are looking for Traditional furniture in the New Jersey, NJ, Staten Island, Hoboken area. 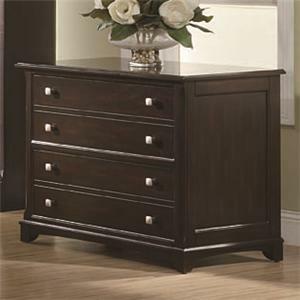 Browse other items in the Nicolas collection from Value City Furniture in the New Jersey, NJ, Staten Island, Hoboken area.